Imagine no more electricity bills. These days there are many different options for solar power. Everyone has different power consumption needs depending on where you live and how much power you will need to use. The Europeans have been living like this for years; tiny houses and sustainable living are the way of the future. The rest of the world has joined the tiny house movement and down sized the average home and adopted this type of construction. Now Australia is really catching on to a new wave of an eco-friendly energy saving way of life. 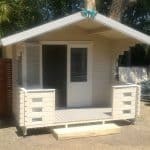 As with all of our cabins, compact housing comes down to a good layout, storage and an efficient usage of space. 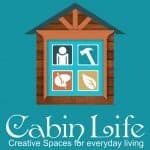 Ask us about how best to fit out a Cabin Life cabin. Eco Cabins : Set your cabin up to live of the grid. Your Cabin can be set up with a small 12 volt solar system starting from around $1,000. This will be enough to run a small fridge, Fresh water Tank pump and your LED lights. We suggest a small continuous flow gas hot water system for hot water and gas for a cooker. Use a colourbond roof for water collection and install a compost toilet and the Eco Cabin can be set up just about anywhere. (Yes they make TV’s that run on 12 volts). 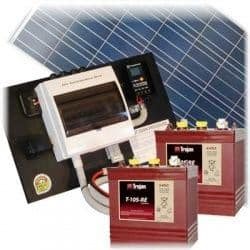 Below are 2 small “off the grid” solar systems. Click on pictures above to learn more about these systems.